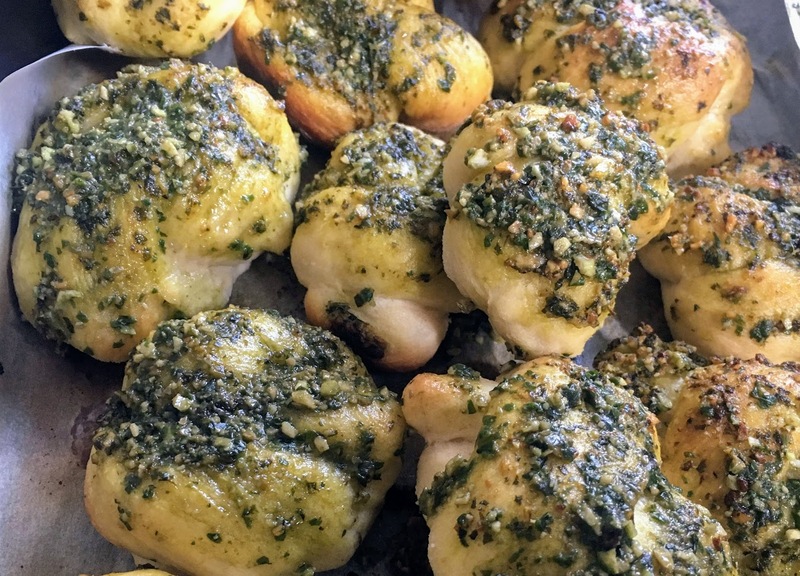 In my latest column in The Knockturnal, I wrote about a new fixture at my weekly pizza nights: garlic knots brushed with two coats of extra-garlicky basil and walnut pesto, one before baking and one right after. The pesto adds oomph to this classic pizza accompaniment, which is simple (and fun) to prepare at home using pizza dough. Prepare the pesto: Cut garlic cloves into quarters, and place in the bowl of a food processor (a mini food processor works fine.) Add basil leaves, olive oil, Parmesan cheese, salt, pepper, and walnuts. Process until smooth. Adjust seasonings if needed. 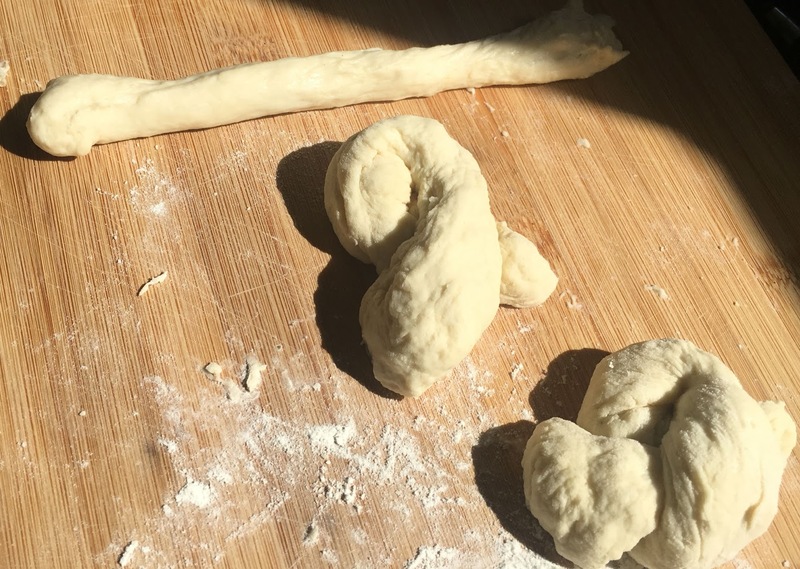 Set aside until dough finishes rising. Using a pastry brush or spoon, coat each knot with a thin layer of pesto. 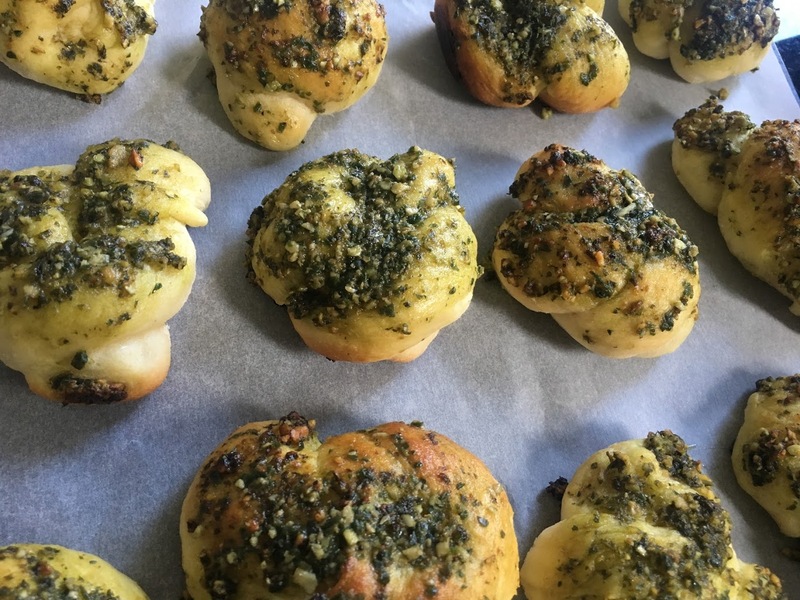 Set aside remaining pesto to coat knots when they have finished baking.Bake for 10-15 minutes, until edges are golden brown. Set aside to cool for a few minutes, then brush with reserved pesto (this additional layer of pesto lends flavor and moisture.) Serve immediately. Place leftovers in aluminum foil or an airtight container, and store in the refrigerator.